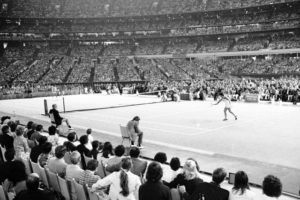 Since Billie Jean King humbled Bobby Riggs in the “Battle of the Sexes“ 43 years ago in a match that captured the world’s imagination with an incredible worldwide audience of 90 million people and which is still talked about to this day, tennis still hasn’t found a way to make Women vs Men singles matches a regular feature. That is going to change with the Tennis World Cup. 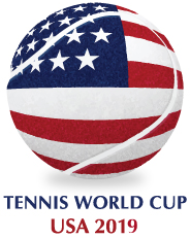 Every Tennis World Cup match will feature a Women vs Men singles (“Mixed Singles”) quarter of tennis. The only difference for Mixed Singles matches is that all points will be started with the woman serving; otherwise the game is exactly the same as any other singles match-up. The sexes will alternate every two games and the captain of each team decides which of his or her women/men plays at any given time. Unlike the Navratilova vs Connors match in 1992 there is no difference to the court dimensions for each player. The Tennis World Cup isn’t just an innovative and revolutionary addition to the tennis calendar: it is a truly groundbreaking event that has the potential to radically change not just how tennis is played in the future, but also how other forms of sport can be contested as well.